Friday, my two daughters (aged 7 and 4) and I set off on a four-hour bullet train (Shinkansen) ride without my wife. She did see us off at the Shin-Osaka bullet train station, but since she had a week-long business trip in Australia the next day, she couldn’t come with us. It was my first time to take such a long trip with just my kids. To tell the truth, I was a little apprehensive. After all, Japan is well-known as a country where foreign dads and Japanese moms argue over who keeps the children (signing the Hague Treaty on parental child abduction has not changed much of this sensitive issue) and I was concerned that shinkansen passengers might think or say something. Nothing unusual happened. Both of my daughters fell asleep halfway to the end…Kagoshima, where my father-in-law was waiting to take us home. It’s been a tiring “vacation” so far, and there’s still a full day and night left before I return (my wife comes the day after the fall term starts, so that’ll be another new experience…). But having just visited my relatives in New York in mid-August, the trip has provided yet again an interesting comparison/contrast between cultures. In both places, the father (nominal head of household) provided the food and transportation (mainly), while the mother provided the familial/neighborhood contact and clothing. My mother insisted that she pay for new shirts and pants for the kids’ fall classes, while my mother-in-law bought pajamas and towels so we wouldn’t have to bring any (still two days left, so she may buy more…). In both places, the father/father-in-law arranged for a family dinner at a nice restaurant (and in both places the kids sort of (mis)behaved and attached themselves quite literally to new aunts (Japan) and future uncles (US). There was much more driving (by me) in New York and much more bus/taxi in Kagoshima (I’m too chicken to rent a car and the kids are too young to attempt an overnight ferry from Osaka with our own car). Hot in both places (35C/95F) with random thundershowers in both places (and us without umbrellas…not that they’d matter, likely). And while in the US we went to outdoor public museums (nature) and indoor private tours (Star Trek: Voyages, where my family was volunteering for Trekonderoga), in Kagoshima we went to the city aquarium (where my daughter Emily ran off…because she saw an ice cream vending machine in a side alcove) and a city-run children’s play center. Overall, we’ve been blessed by both families and cultures. People aren’t so very different, after all. Especially when it comes to kids. 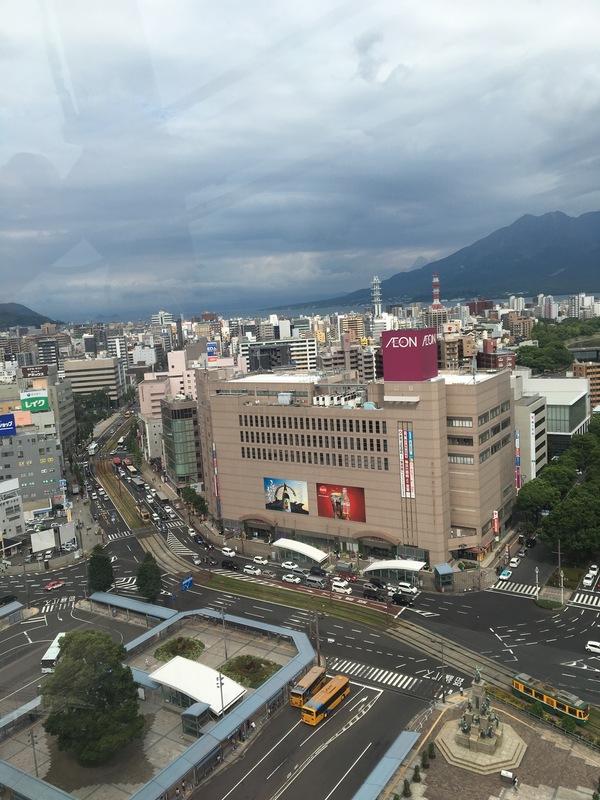 This entry was posted in family outings, holidays, Japan, Japanese, Japanese culture, parenting, Uncategorized and tagged cross-cultural, fathers, Kagoshima, shinkansen. Bookmark the permalink.